Meet Henry David Thoreau, US Supreme Court Justice William O. Douglas, and other intrepid explorers as you travel northern Maine's rugged woods and waters. 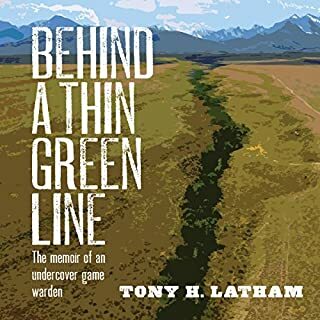 In a wild country of ledge and trees that stubbornly resists encroaching civilization, find a young couple padding through the trials, triumphs, and sheer mental and physical exhaustion of wilderness travel severely testing their ability to get along and even complete the trip. Fill your ears with roaring rapids and yodeling loons. Smell pungent spruce and dank swamps. Retired Maine Game Warden John Ford has seen it all. He's been shot at by desperate prison escapees, been outwitted by wily trappers, and rescued scores of animals. 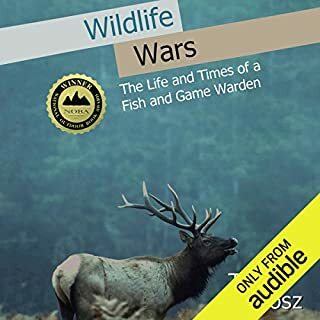 As a tenacious and successful warden, he was always willing to spend the time needed to nab violators of the state's fish and game laws. At the same time, though, he wasn't a cold, heartless, go-by-the-book enforcer; he usually had a good quip ready when he slipped the handcuffs on a violator, and he wasn't above accepting a lesson learned as sufficient penalty for breaking the law. 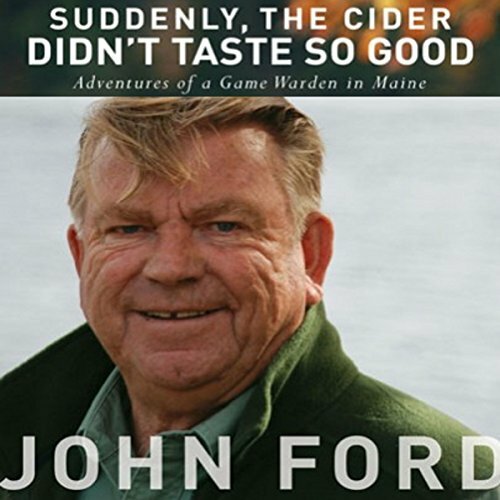 Ford is also a very gifted storyteller and he writes of his adventures in Suddenly, the Cider Didn't Taste So Good, a collection of true tales, both humorous and serious, from the trenches of law enforcement, and also includes heartwarming accounts of his rescue of hurt or abandoned animals. I really enjoyed this book. a lot of the stories were funny. This was a book I listened to with my husband. 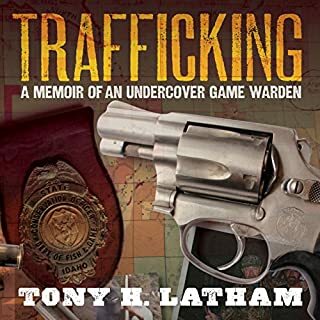 His dream job was a Game Warden. Who would of know that this job could be so crazy, changing from day to day. His job was never boring! If you could sum up Suddenly, the Cider Didn't Taste So Good in three words, what would they be? Funny most of the time. There are more than a handful, but I laughed out loud at the story about the deer on the lawn and John's uh, solution. That's all I can say, without being a purveyor of spoilers. More to Maine Than Steven King. This was an enjoyable listen. An easy listen, just sit back and be entertained. Good stories, great narration. Being a city kitty, I know little about back woods living & nothing about huntin, fishin & trappin! This was a terrific glimpse into the humor and challenges of one guy's experiences, which often sounded pretty universal. Better than North Woods Law! An easy listen especially as it was here in Maine. Better than what's shown on tv. If you love Paul Doiron, don't miss this amusing tale of a real Maine game warden's career. Great story teller, fun stories. This is a perfect book for audio; it's just like listening to a great storyteller. The stories are told from the perspective of a plain-spoken, decent, likable, self deprecating, regular guy. Plus, his love for the outdoors, and concern for the wildlife he's charged to protect is endearing without being sappy. 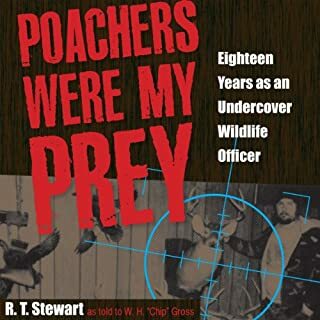 He tells stories about the fascinating and the mundane events of a long career as a Maine game warden. In some of his adventures he comes out on top, and in some, not so much, and he's happy to poke fun at himself when he deserves it. It was read well, the reader basically gets out of the way and lets the stories come through. It's not easy to do a rural Maine accent without sounding clownish or mocking, but the reader does a variety of Maine accents for different characters in the book, does them with subtlety and it sounded authentic to me, who's lived in Maine for over 15 years. The performance added to the written word. I do a lot of solo driving, and this book made me feel like I was riding with a great storyteller every time I got in the car. If it's not the narrator, it maybe his pilot friend. He was described with equal parts admiration and fear. When the construction worker felt a need to point out the passenger in John's car TO JOHN, who would obviously have been aware of who was in his own car. I laughed countless times. I was pretty close to tears in one scene. My recommendation is stronger if you love Maine. What made the experience of listening to Suddenly, the Cider Didn't Taste So Good the most enjoyable? The stories were great. I laughed at some and others made me sad, like the Who family. What other book might you compare Suddenly, the Cider Didn't Taste So Good to and why? Can't compare the books to others. This one opened my eyes to this job. Have you listened to any of Michael A. Smith’s other performances before? How does this one compare? This is the first time I've listened to one of his books. He did not disappoint. His reading kept me interesting and wanting to hear more. I thought this book was awesome and great listen. The predicaments he got himself into were hilarious. I found myself laughing out loud. The narrator was great as well. I can only imagine the other adventures of his career he didn't share. Please share more of the experiences. I can say I listened in one listen. I have listened a couple more times. I would recommend especially if you enjoy first person books. Nice job and thank you for sharing. Northwoods Law fans will really love this. 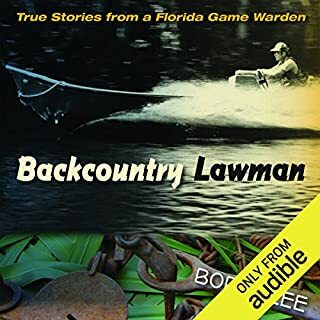 Warden Ford's adventures are everything from hilarious to sublime (jumping accidentally into a lake out of a plane to raising baby owls), and a twenty year career gave him a lot of stories, and these are great ones. We felt right in the woods with him, and this is one of the boys' favorites. The plot line is intriguing and keeps the reader guessing until the end. 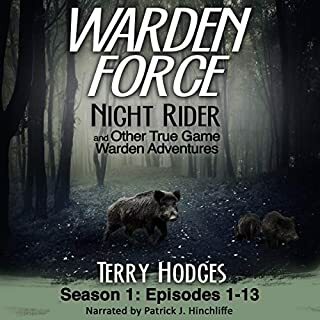 I loved it and can't wait to read the next in this series.Guaranteed to get your heart pounding.. “I was voluntarily provided this free review copy audiobook by the author, narrator, or publisher.